It is getting chillier and darker, no matter how much I refuse to accept it. In an effort to cultivate some maturity and accept what I cannot change, I decided to focus on a true positive of the changing seasons – fall foliage. Leaf peeping trips are fun for everyone – full of beauty and exploration. New England autumn colors enjoy iconic status, but some of the best fall foliage is in the Midwest, Southeast and West – Montana, Colorado, Ohio, Sonoma, CA, Taos New Mexico, and the Grand Teton and Yellowstone National Parks just to name a few locations. Here are some websites and apps to help you in your fall foliage quest. If you would like a hike through the foliage, check out the All Trails app. It has over 50,000 trails with reviews and photos from over 4 million hikers and campers. Maine Foliage tells you where foliage is the best in Maine, and when to expect the peak colors. It has a fun section for kids, ideas for trips and information on scenic byways in Maine and Maine state parks. The Foliage Network is a website that provides accurate foliage information across the country. 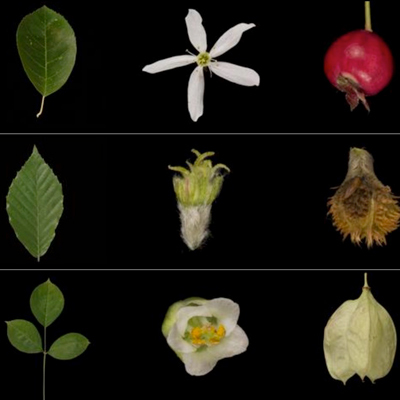 It also gives explanations about why leaves change and how to preserve beautiful leaves. There are suggestions of places to stay while you enjoy the changing leaves. The Travel Channel has some good tips for leaf peeping road trips in this article. The article also makes the excellent point that in New England, fall is the time of year you will find many apple, fresh pressed cider, homemade pie and fresh doughnut stands along the back roadsides. Smokymountains.com has great information about the Smoky Mountains in Tennessee. It provides area guides, hiking trails, restaurants and places to stay. 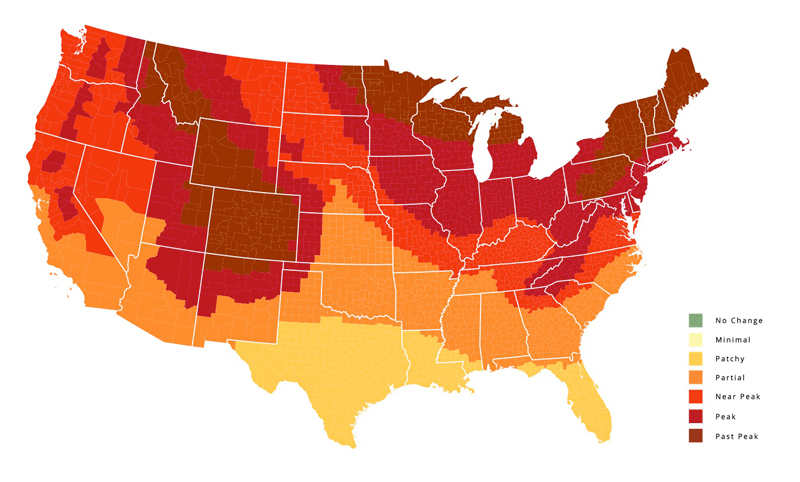 What I love most is their map that shows the progression of fall foliage in the U.S by date. Make sure you download Leafsnap, a free app that identifies tree species from a photograph of a leaf. The high resolution photographs of the trees are beautiful. Currently the species in the database are from Washington, D.C. up through Canada. They are working to expand their database to include the entire U.S. ASE wrote about Leafsnap in 2011 and it continues to be a very useful app. Do you have a favorite place to see the Fall foliage? Tell us about it in the comments below. Do a Man’s Belt and Shoes STILL Need to Match?